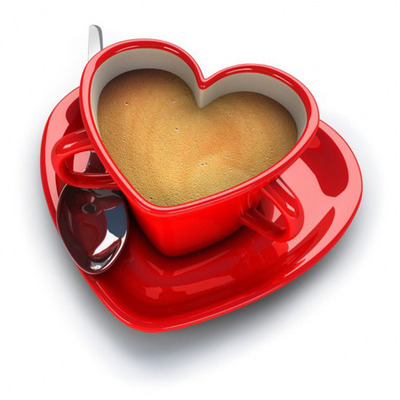 There's no more romantic present than something shared—unless it's a cup of wonderful coffee. 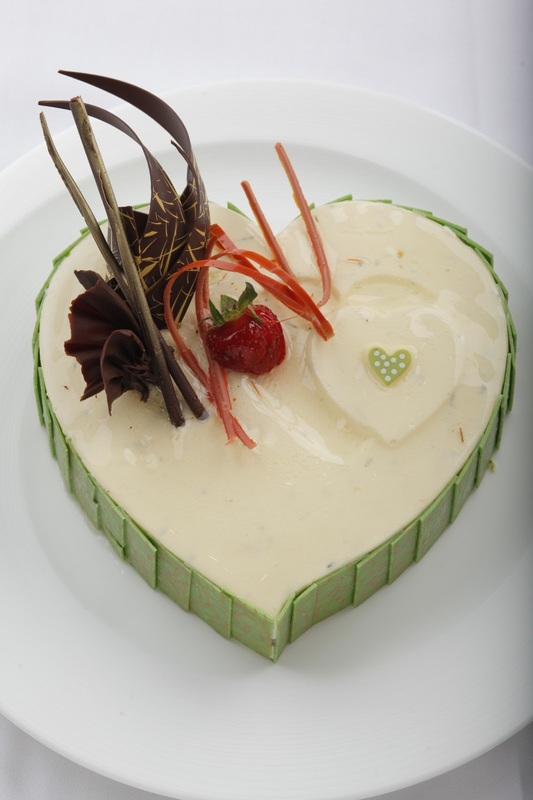 The love month is just around the corner and Java + have the right choices of coffee concoctions, sandwiches and sweets. 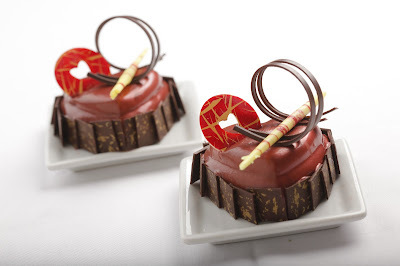 Java+ assortment of sweets are pouncing with romantic flavors. 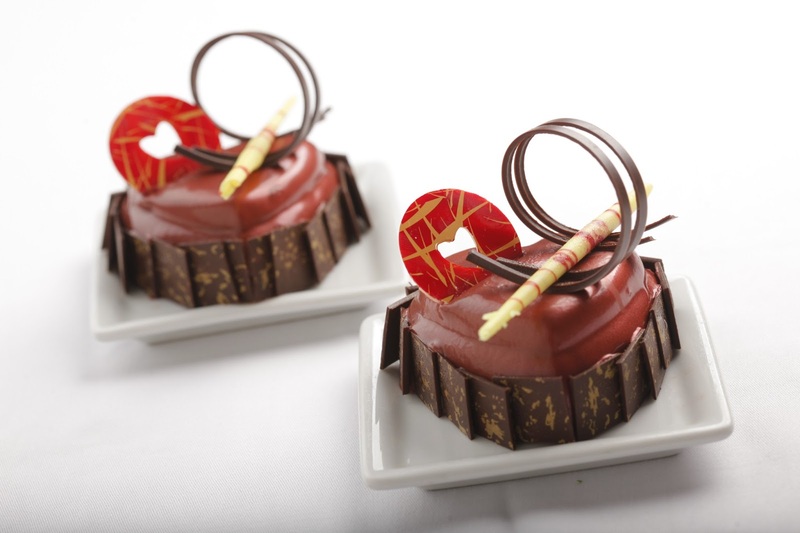 Whether or not you’re sharing it with a special someone, Valentine’s Day calls for some time enjoying Valentine-inspired desserts. 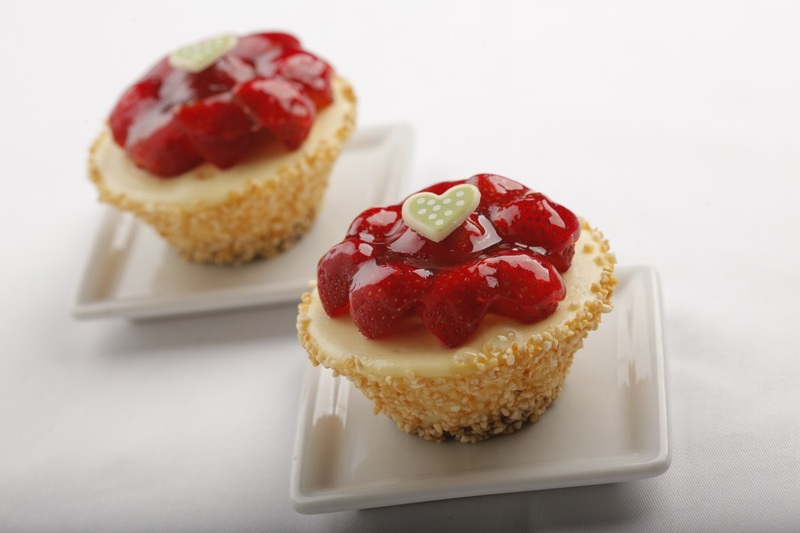 Get to know these creations and enjoy every bite with love the whole month of February! Finally found someone who knocks you out of your feet? 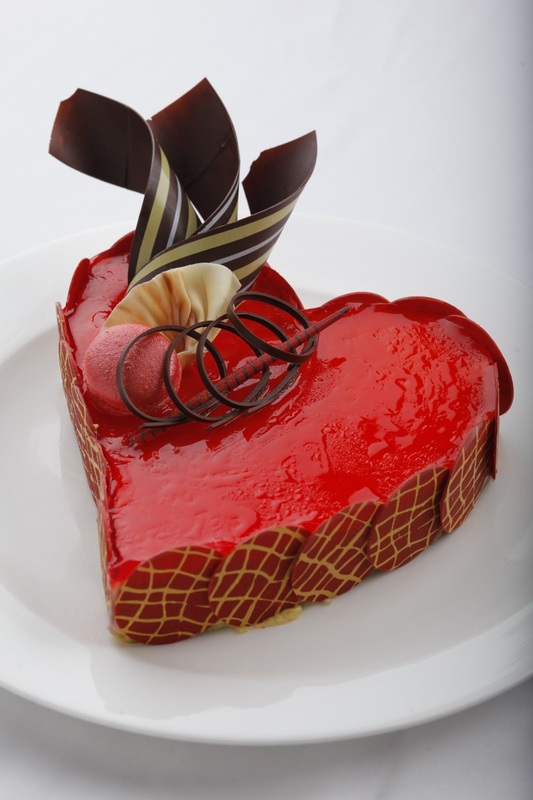 Make a bold statement with a crisp & over-sized Gingerbread Hearts (P320 net). Whether it’s a lingering “I love you” or an unexpected “will you marry me”, these are creative takes on making those words come to life. I am starting to think that maybe memories are like desserts. I eat one, and it becomes a part of me, whether I remember it later or not. 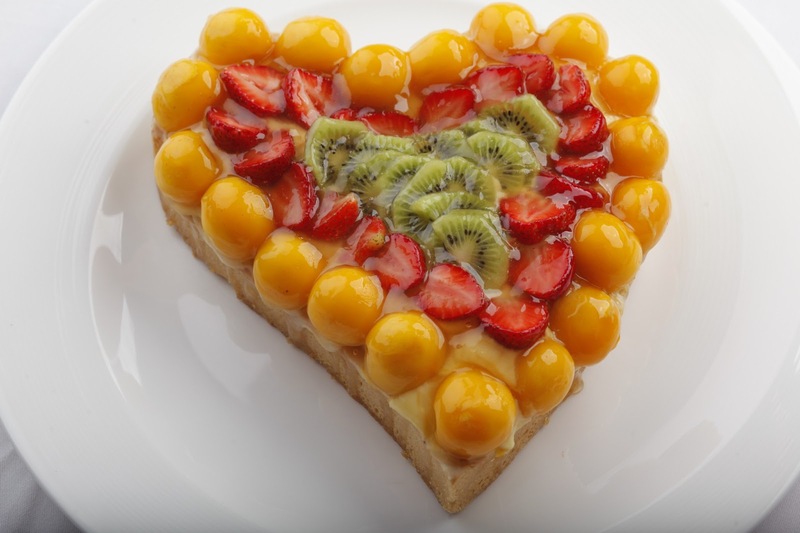 But there are however desserts that are cut above the rest, those are the ones that will always be a part of you and stay vivid in your thoughts and palate. Just last week, I savored morsels of gossipy foodie anecdotes, sift through crackpot notions from a baker like myself, and sample a few dollops of opinion, a pinch of quotes and a sprinkle of quips. All enjoyed in an afternoon of good company and "just desserts." Honestly, it took me time to think of a good introduction, and I could not remember far back anything about this wonderful baker who I had gone with the same school during high school, yeah, gotta blame it on two strikes of epidural birth, one conscious sedation, and a general anesthetics. Just so happen that we had opened up boxes of old treasures hidden in one corner of our house, where I was able to get my hands on my copy of our HS Yearbook, and tadah! So, there she is, as elegant as she looks now, Ma. E- Gajitos, now known as Mrs. Mae Gajitos-Que. Her classmates at Quartz, would be pretty proud to know that she had gone miles and miles of baking experience, literally, since her family have been in constant tour to New York and many parts of the world, honing her skills in baking, cooking and interior designing. I could not remember what year we had been classmates but I do remember how kind and friendly she was and even now. `I don't know if she still remembers to be the class president of the said section. 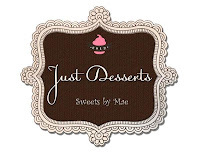 Together with her sister, Liza Gajitos-Vingno, Mae had put Just Desserts, Sweets by Mae, a dessert buffet specialty service that creates a gorgeous backdrop to any event. One problem they would normally encounter in their set up were guests are tad bit halting to touch it or get something from it, for they would not want to disrupt the presentation. I will talk more about their displays as the write-up progresses but will hastily make way first for that sweet-filled afternoon delight me, my husband and a friend, Julie had. We were gladly received by the sisters, and the home which was great looking, spacious and true attention to details pertaining to interior designing was underpinned. A house that is well-maintained for only means that a mom has her hands on it. Now wait till you see her in the kitchen. Mae, heads all the baking and all the creativity spurts, while Liza handles marketing and side-kicks as co-crafter and her critic. On every project, Liza would drive all the way from Mandaluyong to her sister's house in Paranaque to assist her from packaging to the actual setting-up. Like usual sisters they tend to have snide remarks at each others work but Liza admits that her sister is the one that really has the eye for beauty and just gives way to her sisters huffs and puffs. Upon entering the house and in to the living room adjoining the dining area, a whiff of vanilla enticed us, an aroma familiar to a person who lives in the baking world. 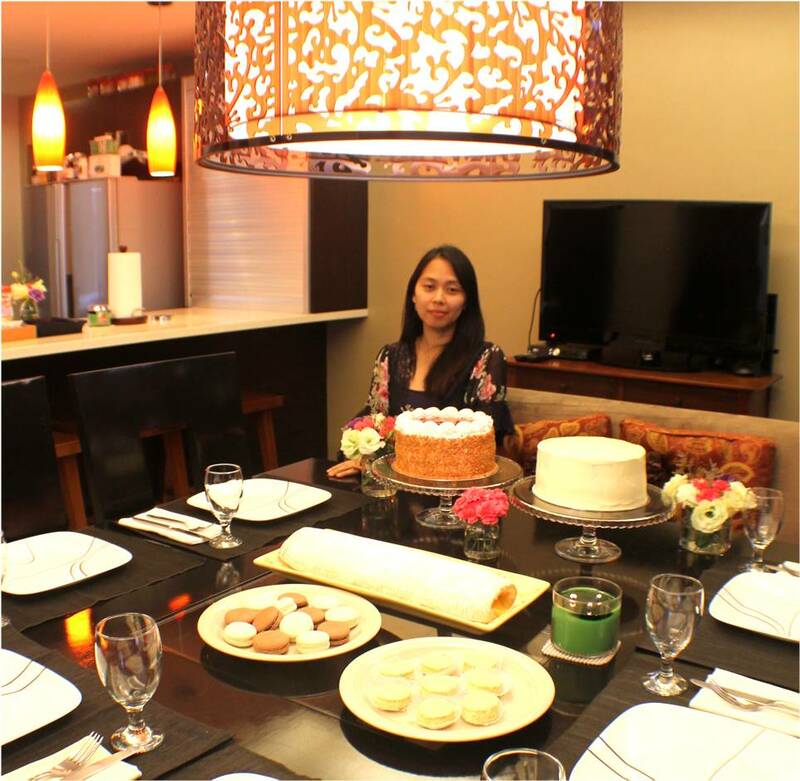 Though the house was styled modernly and exquisitely, what drew me more was the inviting table that was set up and waiting for us. 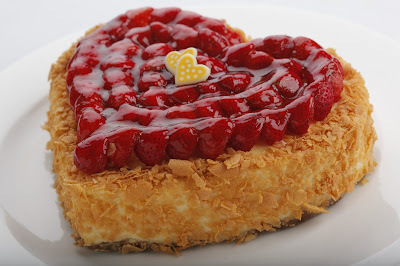 And my eyes had set on this charming round cake that I guessed as Strawberry Cake. Would dare not miss a heartbeat on this, the Coconut Strawberry Cake. At last, my intrepid search for the ultimate strawberry cake is over. This two-layer butter cake was the best butter cake I have ever had in years. Even as a baker for years I have never met a recipe that I could say my taste buds would love. The dense, compact yet soft, airy and moist texture, made me remember the Bundt cake my mom used to make when we were children (mind you we didn't own an oven yet in those days, so a special huge cake pan was used). 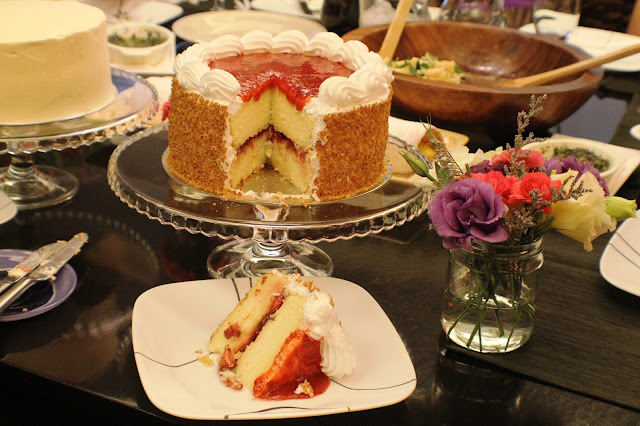 The strawberry jam amply layered in the middle and gloriously smacked right above the cake gives out that strawberry field experience, all worked without making you squimish with over sweetness. If you think the experience stops there, you are wronged! The cake was then thinly laced with marshmallow frosting or boiled icing then the sides covered with toasted coconuts. So you say a coconut might not work well enough with strawberries, then you are wronged again. It was a perfect symphony of the butter cake, strawberry jam and what seemed like a meringue with toasted aromatic coconut. Don't be overwhelmed, a bite of everything in one is as light as a touch of simple throwback life on a perfect weather. Another favorite of friends and relatives of them is this feisty Red Velvet Cake with Cream Cheese Frosting, or sometimes they would alter it with Blue Velvet Cake. In the psychology of colors, red comes out to be very poignant or rather intimidating. However, in a cake, I can't really seem to have the full interest in it, even knowing it has cocoa. For me it doesn't look that natural. But what really captivates a liking to this kind of cake is that the hint of chocolate flavor leaves you wanting to have more, specially if it is made soft and velvety smooth yet a bit moist. In some other cake shops, there is that thing that lacks a red velvet cake that glam which I really could not put my finger on. However, Mae's version has that wow factor, which probably would be another trade secret. According to Mae, she does not skimp on quality ingredients. For over years of practice and trying out different recipes, she was able to perfect this one, again making sure that the ingredients are fresh and clean. Another cake which I have grown to love with is Brazo de Mercedez. Now every bakeshop has their own tweaks on this Spanish sponge cake, but nothing beats the classic. I have stopped buying this for years already, when I tried the home-baked Brazo De Mercedez from one of our Pastor's sister. There is that boundary which differentiates a true blue Brazo De Mercedez from a commercial one. I guess it's not proper to expound on this but the careful preparation is all it really takes to make one heck of a roullade of "yema"-filled meringue. That said, the eggs are given the focus of attention. As Mae said, our local eggs tend to be smaller than the standard American egg, also market-bought comes with filthy shells. Being the "OC" mom as she is, she would actually wash each eggs with soapy water just to remove what sticks to it before she uses it for cooking and baking. As you can see, the marshmallowy-looking white meringue is very stocky and airy, means that real egg whites were used. This one is rolled into perfection leaving the middle oozing with lemony thick custard or what my kids say as liquidized leche flan without the caramel. 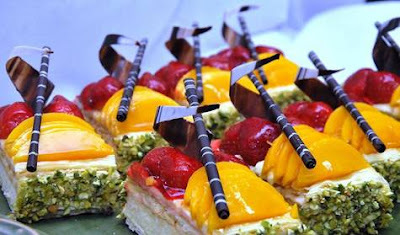 The bulky meringue balances well with the sweet filling as compared to others which has less of it. I didn't eat a lot of this at Mae's because there were a lot of samples on their table so I didn't have that total rewinding experience, till I get home, and bite after bite of it sent me to cloud 9. I knew it, I was reunited to Brazo de Mercedez once again, and I've fallen in love with it. If you think the table was gorgeous enough we were even more surprised. As we were introduced to each other, Mae slipped off in to the kitchen and out she came with a plate of these. To die-for Sylvanas. 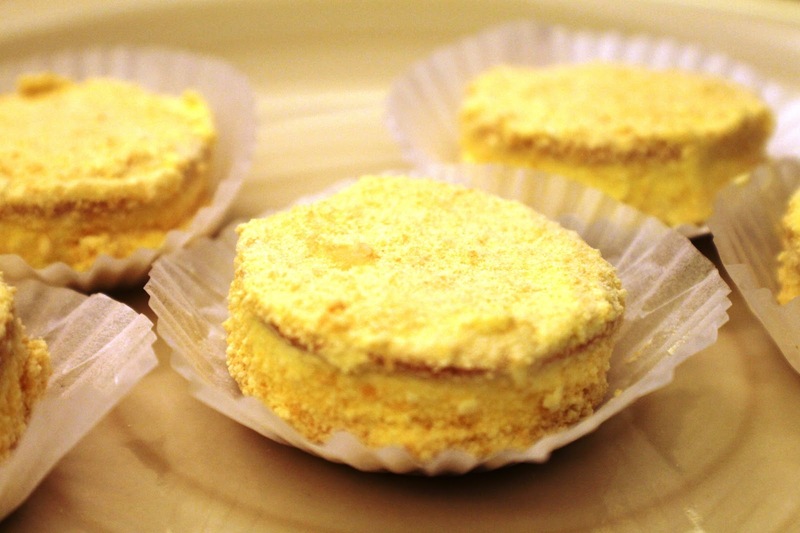 The frozen cookie is made with a layer of butter-cream sandwiched between two cashew-meringue wafers, coated with cookie crumbs. My husband described it as a cookie version of a Sans Rival but evidently better. I've heard that Bacolod holds the title for the best Sylvanas, but hey, no need to catch a trip to that region only to chance upon this. Eaten cold, it gives a refreshing bite into the creamy, gooey, buttery and a sudden blast from the past experience. After finishing one, I remembered my HS days when the Burger Machine was flocked by Maryans during lunch, in one of those days that you could hardly order a burger having pushed and gushed and the only quick order you can make is the Sanz Rival. Yet another plate was placed on the table, this time filled with their inviting take on French Macarons in two hues, white and toffee. I had to take one and got the Bourbon Vanilla Creme first. Instinctively, the committed foodie in me yearns to be in the vanguard of the latest culinary trends. 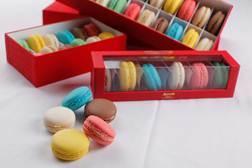 In the pastry market, foodies have striven to describe the perfect French macaron. Now, there's Bizu, Empire Macaron, Cake Club, and Tous Les Jours, and others awaiting for me to try. The aforementioned are just some of the brands I have tried, each has it's impeccable pride for their own. 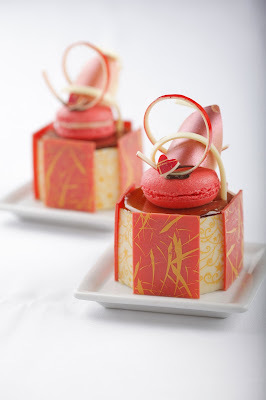 Here are what I can tell you about what my perception of an ideal macaron. Shaped like a "ChocoMallow" but billowy, each cookie must have a 'foot,' a crackly ringlet that surrounds the flat side. The crust is thinner than an eggshell but has an eggshell-like quality. A bite through the shell should give way to the soft, almost-meringue texture. But for Mae it is more than the two delicate cookie, the highlight is in the middle. As seen on this photo of Chocolate Ganache Macaron, a feathery and chocolatey cream out of butter glues the shells intact, which also gives out the superfluous dessert feat. That said, the cream is spread substantially up to the edge, not dotted scrimptly on the mid, but not getting the effect of being too sugary. 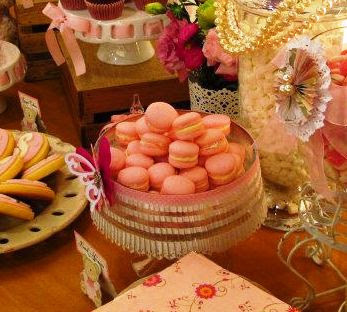 Here is a sample of a pink Bourbon Vanilla Creme Macaron on a dessert table set up. 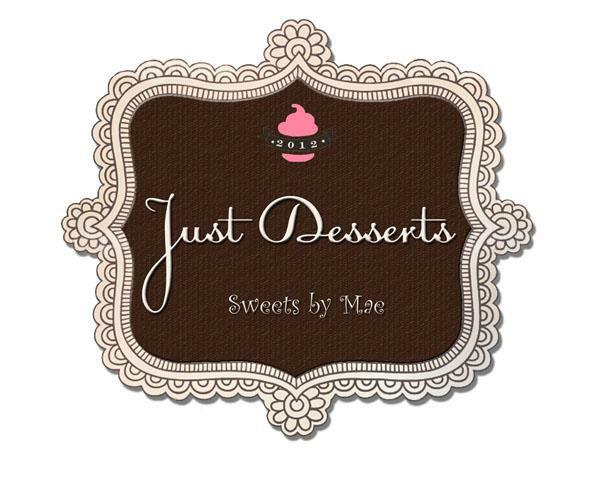 Compared to commercially known Macarons, Just Desserts, Sweets by Mae's are chubby and filled yet exuding with luxury and rich in flavor. Did I mention she is also a great cook? The initial invitation was for lunch but I don't want to give her more time preparing for the meet, but she still made more than just her desserts. We also had this tuna, veggie penne salad, spinach terrine with sliced and toasted rustic bread. Aside from the food adventure each have shared including Mae's husband, Jay's canny antics, I have learned some tricks of the trade and marked another stellar discovery. Thanks to Julie, also a fellow Maryan and batch mate, she was the one who told me to check out Mae's FB page and to add her. 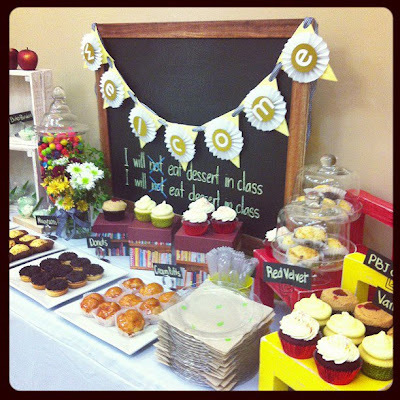 So, if I still haven't caught your interest, let me share some of their creative genius in the dessert buffet industry. 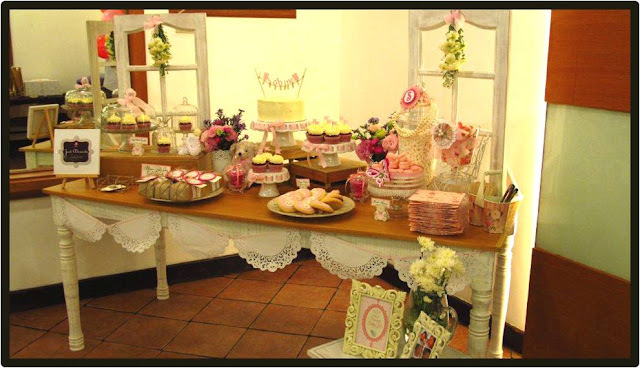 Just Desserts, Sweets by Mae is a dessert table and candy buffet that showcase a repertoire of fresh from scratch, home baked cakes and pastries, mixing and matching sweets such as candies, mallows, cookies, etc, according to your dreamed of theme. 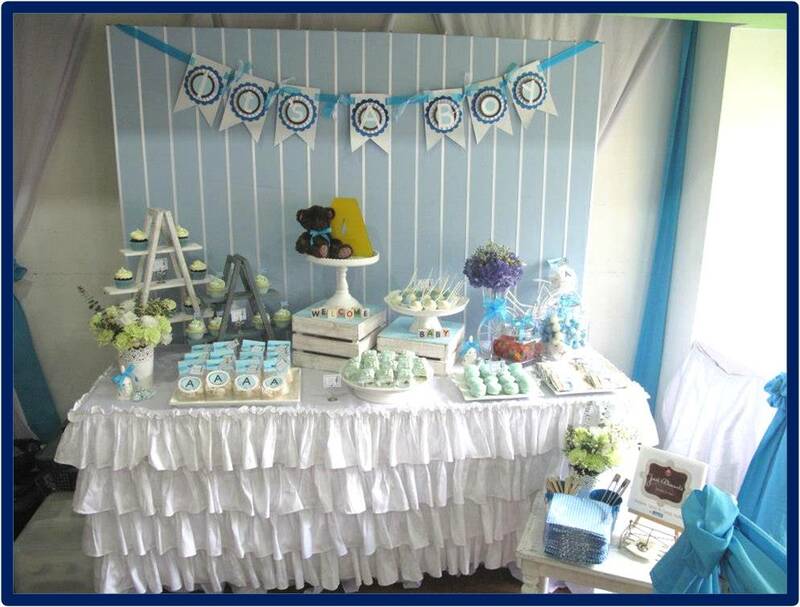 The sister will create a stunning display while providing a personalized lasting impression on any event you want to make more special. Make an appointment now and look for Liza Vingno. When a new word catches my attention, mostly if it is a foreign name of a restaurant or food, the first thing I do is to google it. Google now may be referred to a verb or an action word meaning to search in the internet. I guess I don't have to educate you on that. The new word I was talking about is Shi Lin. It is not actually new to foodies for it has become illustrious which you can see with a number of reviews compiled by Google. However, it didn't actually gave me what I was asking for. No translation for Shi Lin but information about Shi Lin market famous in Taipei showed up. So I guess it would typify the street food that are abundant in Shi Lin market, which I've read is one of the world's sought street food flare. Thus, Shi Lin, a Taiwanese restaurant which we found at the Fort. It looked simple outside but with a mesmerizing site of the pink and white diagonal hanging lamps from our point, which was on the other side of the street. Quite unique in it's right amongst Chinese food, it is a mash up of Xiamen, Hokkien and a bit of Japanese culture. As you can see the interior of the restaurant has that clean, elegantly streamed-line that draws modern art and food to a union. This twin painting goes practically well with the warm hues of the walls and the pale yellow leathered chairs. I bet you're dying to know how we found the food. I've read that they have one of the best Xia Long Bao in the metro and have been rated by Spot.ph as number one. On the Second photo from the top, you can see the staff making dumplings, at that time they were making Xiao Long Bao. Will tell you how their Xiao Long bao is in a while. Let me share we had first. Japanese Cucumber. Intriguing as it may sound, known as Suhyo, it is slim and long, compared to our local cucumbers which are oblongated yet short. Some grows as long as 18 inches but has a diameter of 1 1/4 inches. It was made into a salad with a bit spiced white vinegar. Surprisingly, it was more than crunchy and refreshing. I guess the only restaurant I've tried where they have cucumbers served like. Okay now, let me braise my self first, as I am drooling and dreaming of having these babies beside me, quite an awesome dumpling sight you might say, and I couldn't agree more, but if I say that these are soup-filled dumplings how would you react? Xiao Long Bao, literally is "little basket bun", is a petite and delicate steamed dumpling. However thin though it's skin maybe it is pliable that it holds warm soup inside it. Indeed tricky the recipe maybe, foodies never seemed to ponder how it could hold up a sample of the chicken broth while having the filling intact and tasty on its own. Though small (xiao), it is heavy on the tummy, where a condiment of sesame soy sauce, ginger and sambal are served with it. There is actually a note on the edge of the table on how it can be savored. Remember there is a liquid inside. Here is the best way to enjoy it. Pick up one of those soup spoon and a pair of chopsticks. Gently lay down one of those tender, juicy dumplings so that it drapes seductively in your spoon. Glide the warm spoon towards your mouth, let your lips lightly brush against the pleats of the dumpling. Slowly move down and take a little nibble on on of the folds of the skin. No, let's not be hasty by putting the whole dumpling inside your mouth, yet. Let the wisps of steam escape out and caress your upper lip and the tip of your nose. Now, surrender to the aromatic symphony of the filling tickling your senses. Go ahead, slowly bite into it. An explosion of rich, steaming, hot juice oozes into the groove of your tongue, dribbling down the side of your chin, make sure you try to catch any escaping broth with your spoon. Ahhh, no wonder why more and more foodies are into the search for the best Xiao Long Bao, and I've only just begun yet I'm concluding that I have found it! Yes, it actually gave me a mild amnesia, for I have forgotten how these plate of omelette was named. It is simply an omelette garnished with bell peppers but has mighty bits and pieces of seafoods such as squid, shrimp and oyster. A good replacement to the usual meaty fare but still gives that protein packed goodness one might be aiming for. Of course, we can not pass by a Taiwanese restaurant without having noodles. Though fresh in our memory how a Tom yum soup have stuck in our minds, Bhogs preffered to try Shi Lin's So he ordered Noodles with Braised beef soup. The bowl came in big but can be consumed by one person. Spiced delicately, the warm beefy broth with a touch of sesame oil is very hearty, add into it chunks of tenderized beef and loads of leeks and my favorite leaf vegetable, bok choy. We thought the experience would be enough but then we could not resist the steamed buns calling us, so we gave in and ordered Pork Buns. The bun was big and the filling is just as lovely as their Xiao Long Baos. As you can see, the bun comfortable holds the filling which comprises of pork ball, Chinese chorizo, salted egg, and shreds of leeks. What I don't like about this one though is that the inside is soggy down to the bottom, which destructs the softness and airiness of the rice bun ( the bun is sort of a mash up of puto and siopao bun). But still all in all, it was indeed captivating and drool worthy, and oh let me not forget that the price is so affordable you'll be surprised, so would we go back here? Definitely! 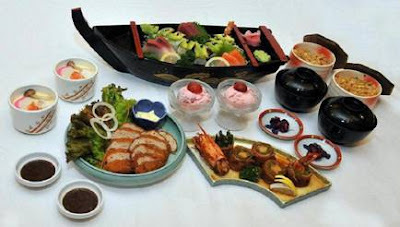 Century Tsukiji gives you a great deal for the first quarter of 2013 as the multi-awarded Japanese restaurant features a special set menu good for two persons. For only P 1,695 +, enjoy a combination of our juicy and succulent ground breaded pork (Menchi Katsu) and fresh prawns and asparagus rolled in bacon (Ebi to Asparagusu Bacon Maki) with miso soup, mixed fried rice and strawberry ice cream (Ichigo Aisu Kurimu) for dessert. Century Tsukiji is open for lunch and dinner. Top of the Century at the 19th floor extended its special Beer Bucket promotion of our house beers - Beer na beer, Coors beer and Manila beer at our after-work happy hour price of P 325 per order, Monday to Saturday from 5:30 p.m. to 8:30 p.m. A sumptuous plate of pica-pica awaits our patrons. Do you know how long Tsoko.Nut Batirol is at SM Makati? It is actually seven years already. If you have been to SM Makati you'll probably notice a cafe-like ambiance with the sights and aroma that of an authentic Filipino "tsokolate" (chocolate). You might be guessing right now about the menu of this cafe, food concoctions with Chocnut maybe? Well not quite. Tsoko.Nut Batirol is all about Filipino comfort food paired with their very own Tsokolate Ah Batirol and Kape Barako. Read about Chcolate De Batirol, Baguio here.